Other issues that can affect your TV Reception are poor or inferior cabling, splitters, connectors, amplifiers, incorrect installation. Damage from inclement weather can also cause reception issues, whether strong winds have knocked your antenna off alignment or heavy rain has caused water damage to parts of your antenna system. Reception issues can also be caused by factors outside of the home such as 4G or LTE interference from neighbouring mobile tranmission towers, LED lights, Electrical Interference and more commonly as of the recent changes to the way we live – solar panels on roofs. It can be difficult to diagnose these reception issues, however all of our technicans carry state of the art field strength meters that allows them to check the TV spectrum and see what is causing the interference. By using our services you can ensure that all the channels will be on the right spectrum with no ‘repeat’ channels. We’ll calibrate to make sure you have the absolute best audio and picture possible for your particular TV, along with preventing your picture from pixelating. After all, what’s the point of having TV if you’re not getting the best image and sound possible from it? If it’s TV reception issues your need looked at, our technician is able to assess and provide you with a free onsite quote accordingly. 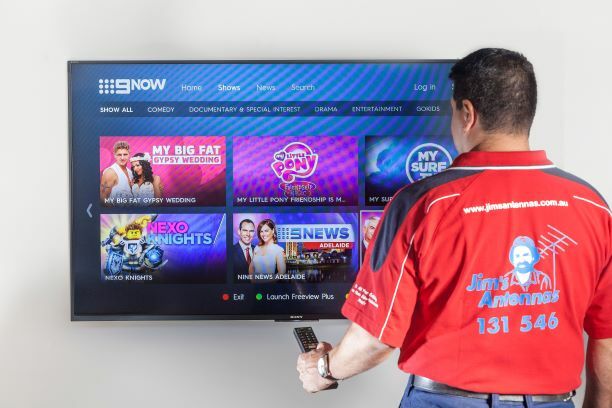 In most circumstances our technician is able to fix the problem for you on that very same day – it means you’ll be enjoying your favourite TV shows with perfect picture clarity and no more annoying drop outs.